DeWalt is a division of the Black & Decker Co. that manufactures power tools for professional applications. Its line of DeWalt cordless drills is among their most popular tool offerings. These cordless drills use a pair of brushes as part of the electrical armature in the motor. Over time, these brushes can wear out and need to be replaced. It takes just a few minutes and some basic hand tools to repair and replace brushes on a DeWalt cordless drill. 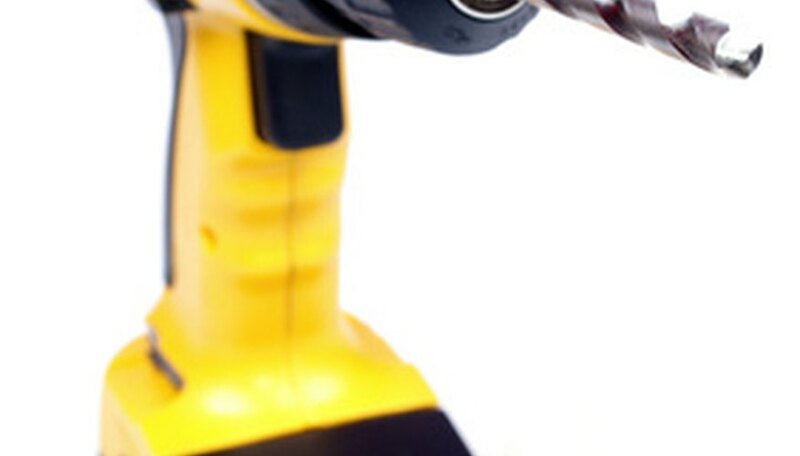 Remove the battery from the bottom of the DeWalt cordless drill. Hold the drill in your hand as if you were going to drill into a wall. Locate the housing at the rear of the drill, closest to your body. Loosen the four Torx screws on the housing at the rear of the drill, and remove the rear housing. Locate the two lead wires on the back of the motor. Follow the wires, one to each side of the drill motor, where the wire terminates with a spade connector. Pull each of the spade connectors off of the spades with a a pair of needle-nose pliers. Slip a flat-head screwdriver into the slot where the left brush meets the center of the armature. Pry the brush left until it slides out of the motor. Insert a new brush into the brush slot with the same orientation as the brush you removed. Be careful not to put the brush in upside-down. Repeat the previous step with the brush on the right of the motor. Reattach the spade connectors to the spades on the brushes. Replace the rear housing onto the back of the drill, and secure by tightening the four Torx screws. Reattach the battery to the bottom of the drill. Squeeze the trigger to check that the drill is functioning properly. To avoid the chance of a shock, disconnect the battery from your DeWalt cordless drill before removing the rear housing.